I was asked in an interview once what I’d write if I couldn’t write romance. I didn’t have to think twice; the answer is fantasy. As in Old Skool, Middle Earth, build-up-your-alternate-universe-from-the-Void fantasy. I devoured the works of Tolkien, C. J. Cherryh, Orson Scott Card, and Marion Zimmer Bradley, and Isaac Asimov, among many others, years before I attempted writing a word of my own books. I loved the chance to escape into another world while I read those books. The best of the romances I gobbled up by the pageful provided the same effect. My entirely unscientific theory is that good writers care passionately about their own creations, whether it’s a planet or a pair of feuding lovers. I write romance because I enjoy offering hope in the form of happy-ever-afters. I love writing smart heroines and the hunks they deserve. (And okay, this is the only genre that allows me to look at man candy and say with a straight face, “It’s research.”) But I do engage in a form of world-building. Mine is different from speculative fiction writing because I am constrained by the laws, customs, technologies and events of actual past eras. I can tweak the rules and bend them, but if I break them, the reader will be jerked right out of the story and might not be able get back into it. Fantasy readers are familiar with maps, spaceship diagrams and/or genealogical charts in the front or back of books. I use those tools too, as do most other writers serious about their craft. Maps are a sticky issue for me. The posh area of London isn’t large now, and it was smaller in the 19th century. If we had to squeeze in every London mansion, gaming hell, bordello and alley devised by historical romance writers, the metropolis might have taken up as much space as it does in 2012. On the other hand, I do write fiction. It’s kind of my job to make stuff up. While scholars may howl if I place someone’s home where a tobacconist’s shop existed according to the census of EighteenWhatever, if I make the rest of the street historically accurate, and the furnishings and design of the house, most readers will be okay with that. Along with hunting for man candy, I do research actual maps, and furnishings, and when people stopped using quills and started using pens, and the beginnings of railway travel in England. Most of the time, I enjoy research, but when I can’t find a crucial piece of information, I wish I could make up my own rules! I do get to make up my own genealogy charts at least, and that’ s another part of writing prep I enjoy. Speculative writers have to come up with naming systems, and I don’t envy them the task. It’s hard enough to find the exact match of first, middle and last names that scans well and conveys the character’s status as hero or supporting character. Throwing in issues like spaceship allegiance or Elvish naming customs would make my brain explode. Genealogy tells us a lot about family culture and values, personal traits that may be encouraged or not and even diseases that can affect a character. Take a page from fantasy writers and make a family tree or two for your manuscript. 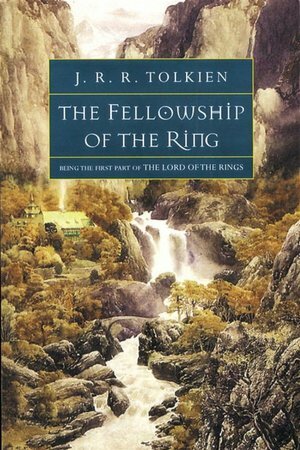 I learned about the importance of creating a historical background for one’s books from the Appendices at the end of The Lord of the Rings. They fascinated me; I would go back and forth from them to favorite passages. I realized that such a deep background gave Middle Earth its breath-taking vision. My history is based in fact, not speculation, but it’s crucial for writers to understand the places and times in which they place their stories. Timelines and calendars are an essential tool of all writers, either to track fictional events or intertwine fictional with real events. So, writers and readers out there…what do you enjoy about your second favorite genres? I can’t even say I have a favorite genre, I just love a good story! A good story is a must no matter what! And YOU don’t write anything but good stories.